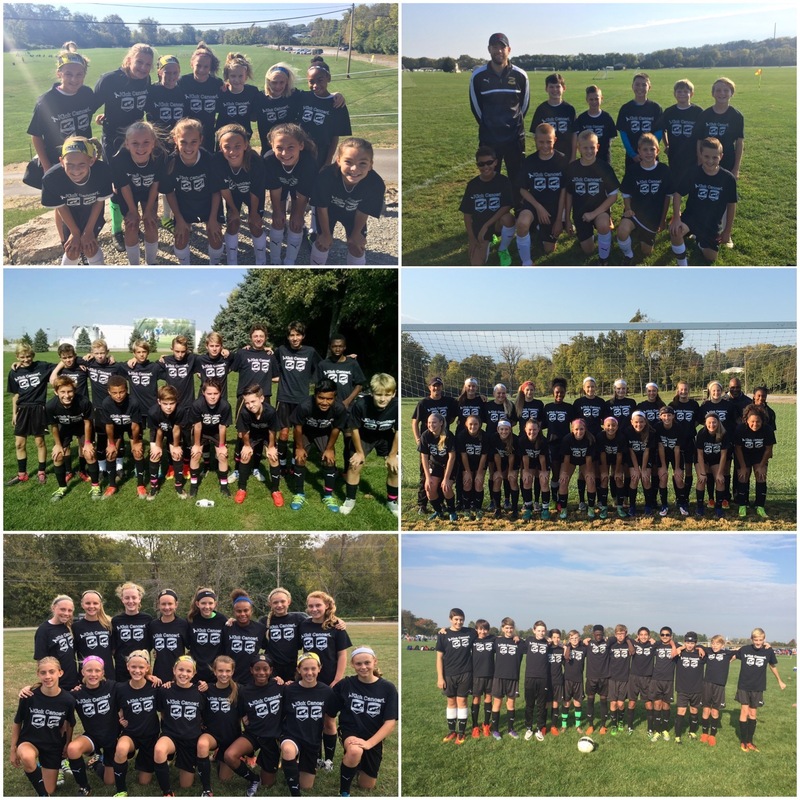 Cincinnati United KICKS CANCER. Because of the generous support of our families, our club has donated a check for more than $10,500 to the Barrett Cancer Center to help in the fight to KICK CANCER. We sold more than 1,500 shirts this year to help raise the money. "Cancer has unfortunately affected so many families across our club and this world,"said CUP Girls DOC Bobby Puppione. 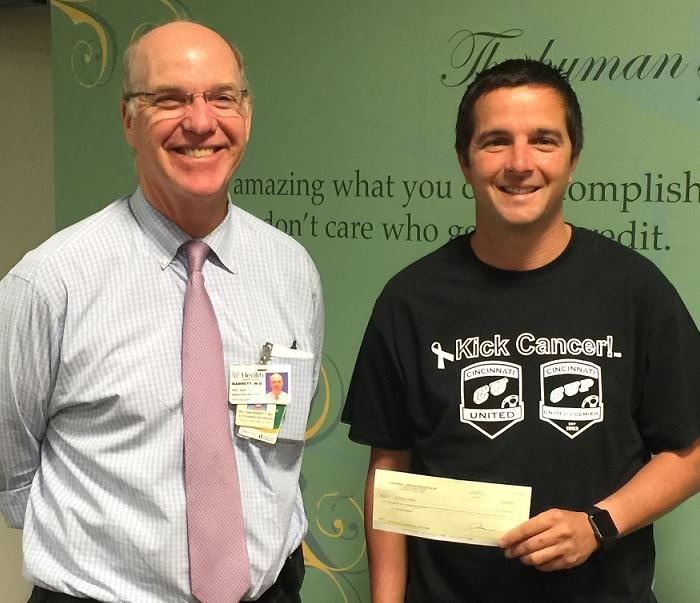 "We wanted to continue our fight against cancer by producing these "kick cancer" shirts to support a local organization. Thank you to everyone for their generous support. Keep kicking cancer!" Thanks to event organizers Kristin Stock, Debbie Dudukovich, and Bobby Puppione. And thanks to Soccer Village for their support in production.